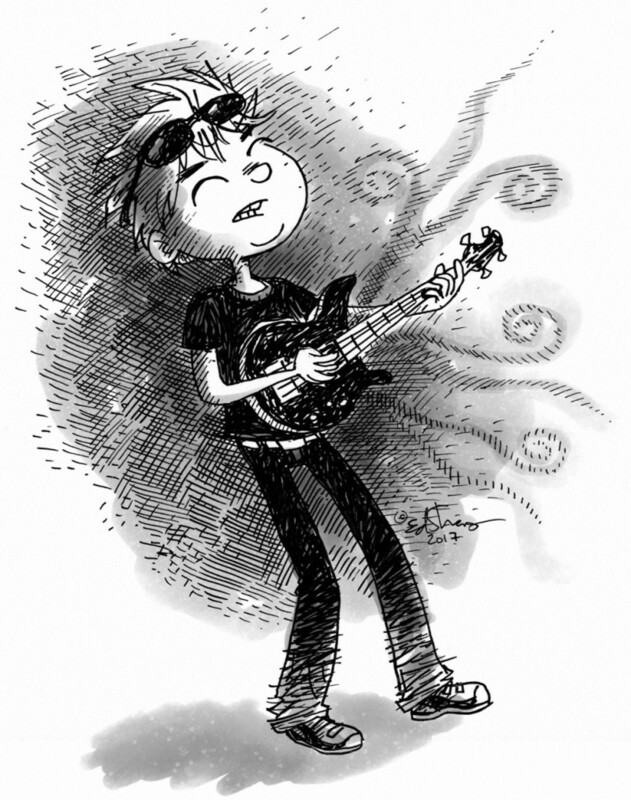 A chapter book/middle grade book illustration of a rockin’ boy playing guitar. There’s a ton of cross-hatching (which is one of my fave things to do) mixed with digital watercolor. I picture him playing a soulful guitar solo- probably some Clapton.